I love both Highlander:The Series and the movies that originated it. I like the idea of immortals and immortality. The idea of having lived through history, not just recent but ancient, is really a cool idea and something that probably would make history more interesting to learn since you could learn it from people who were there. I know personally that since I started watching Highlander: The Series I have picked up history books to read and learn from. My favorite character is Methos/Adam Pierson. I really like him in the episodes entitled, "Methos", "Comes A Horseman" and "Revelation 6:8". I like the way he shows all of his sides, both good and bad. We finally get to see part of what made him who he is today and why he does what he does. It also explains why he is concerned about protecting himself from being found out, and what happened when his past comes to haunt him. But also his being such a cynic is so different. He looks out for mostly number one, himself, but keeps helping the others showing the total opposite of what he claims. Such a person of contrast. I think this is why I love the character so much. For a person who is supposed to be over 5000 years old, he still acts like a young man at times. 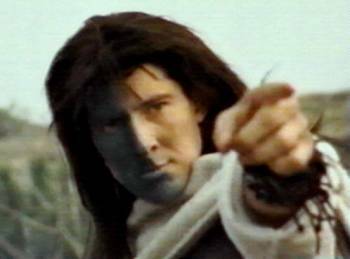 When he comes after MacLeod in "Methos" trying to force Duncan to take his head, it is so that MacLeod may have the strength to beat Kalas since Methos didn't think he could, he is acting more like a young immortal and not the wise old man as Richie so apply puts it when finally finding out who he really is. I like the way Peter Wingfield plays the character. He brings Adam Pierson/Methos to life. I don't think it would have been as good with someone else in the role.